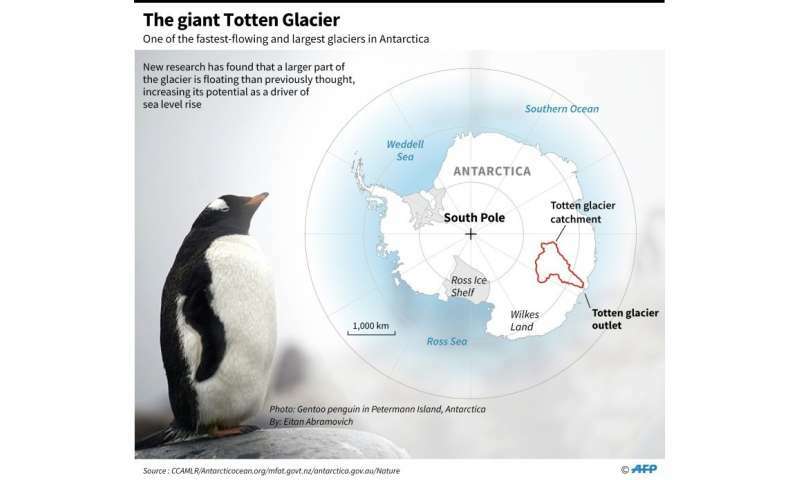 Map locating the Totten Glacier in Antarctica. Choke & puke. So 2C is going make its way through 1 to 2 miles of ice in the next 50, 100, 1000, etc. years. Equine secretion. Why does phys.org publish this?